The beautiful wine region of Puglia (the ‘heel’ of Italy’s boot) is best known for boisterous, full-bodied, and rather alcohol-heavy red wines. What a delight, then, it is to find a winery which uses the deeply flavourful grapes of this part of Europe for the production of truly fascinating rosé instead. De Falco winery is a family business which understands the importance of Puglia’s place in the wine world, and which knows the unique characteristics of the stunning Salento appellations it works with on a truly profound level. 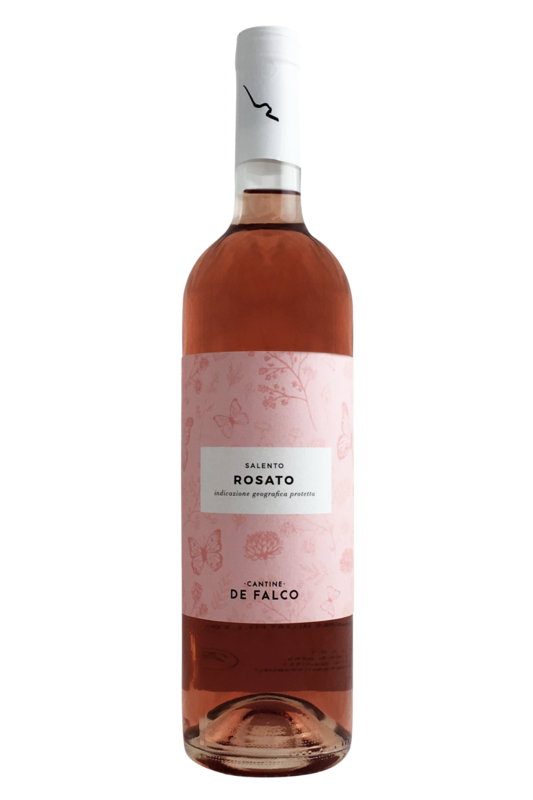 For generations, the de Falcos have been growing Negroamaro grapes in their mineral-rich, volcanic soils for the production of red and rosé wines, and over the last century, they’ve gained the insight and expertise to really bring out a remarkable spectrum of flavours and aromas from their fruit. Today, the winery is overseen by Gabriel de Falco, whose vision for his family business has been to open up to the international market, and to create modern, dynamic, and delicious rosé for the world to discover and enjoy. Puglia in the south of Italy is a hotbed of exciting wine at the moment - for so long overlooked in favour of the 'trendier' wine regions further north, the sun-drenched south of Italy is finally....well, having its moment in the sun! This rose is a blend of local varieties Negroamaro and Malvasia Nero. Full of fruit, it tastes of raspberry, sour cherry and pomegranate, with a hint of rose petal, clay and white pepper on the finish. 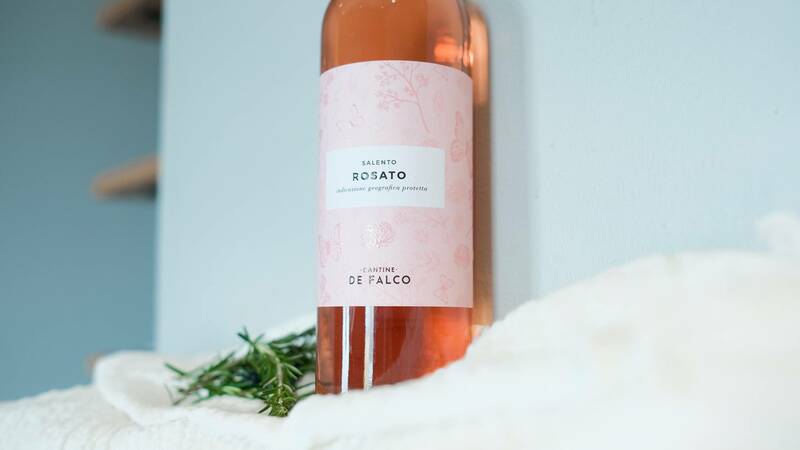 This stunning rosé wine from Puglia, Italy, packs a surprising punch of flavour on the palate, and is remarkably versatile when it comes to food pairing. You’ll want to match this beautiful bottle with seared tuna steaks, or with classic Italian antipasto dishes or charcuterie - the combination is a real taste of sunshine that’s sure to impress you and your guests this year. It’s also going to go well with hard cheeses, grilled or stewed red and yellow peppers, and flavourful Italian salads.